You are invited to our Rocky Mountain SCIP networking meeting on March 30. Come to meet fellow competitive intelligence professionals. We also want your suggestions for programs! What topics do you want to hear more about? Which CI speakers do you want at future meetings? Local speakers? National speakers? International? We have a table reserved under Gordon’s name and SCIP. Feel free to reach out to Gordon or me (Ellen) with program suggestions, especially if you can’t attend our meeting. BTW we have a Denver/Rocky Mountain LinkedIn group, where you can share ideas and pose questions. 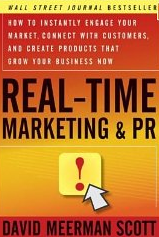 I am enjoying David Meerman Scott’s book, Real-Time Marketing & PR. He explains the competitive advantage to companies and individuals of being responsive to events that affect them in real-time: that means right NOW, not tomorrow. No longer can you just monitor the news: you have to take action! In this book he tells the story of how United Airlines broke Dave Carroll’s Taylor guitar. Dave Carroll, a songwriter gets back at United with a song about how United breaks guitars which becomes a YouTube hit. The saga continues as Taylor Guitar and Calton Cases (yes you guessed it, they created Dave Carroll guitar cases) capitalized on this event, by responding quickly and decisively. A most amusing story, if you’re not United who came out smelling like a skunk. David tells the story here. I hadn’t really thought about real-time response as a competitive intelligence professional. Often we’re so busy monitoring, studying and analyzing competitors, market trends and our customers that we ignore what action we should be taking right now to be more competitive. So many companies are stuck in the past and the future and forget that we operate in the NOW! How many companies are connected to their customers in real-time? Some listen to what their customers say on Twitter and other social media, which is a step in the right direction especially for companies in the B to C space. But what about companies selling B to B? How do they stay connected to their customers in real-time? At SCIP’s annual conference, Rick Marcet spoke about the win/loss model that he developed at Microsoft which is fed by sales. This is the best example I can think of continuous learning from customers. These assessments are completed at the conclusion of the sale, while the information is fresh, and is viewed as part of the sales process. The company takes action on an ongoing basis based on these results. 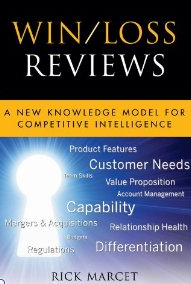 You can read more about this in Rick’s soon to be published book, Win/Loss Reviews: A New Model for Competitive Intelligence. Carrying this a step further: how many companies have real-time communication with their employees? While many companies claim that their employees are their biggest asset: how many companies really listen to them on a regular basis? Southwest Airlines comes to mind immediately as they solicit suggestions from employees, implement the winning suggestions and reward employees appropriately. This is America’s second largest airline, and has been profitable in an industry which has slim margins and where most competitors have had a bout with bankruptcy. 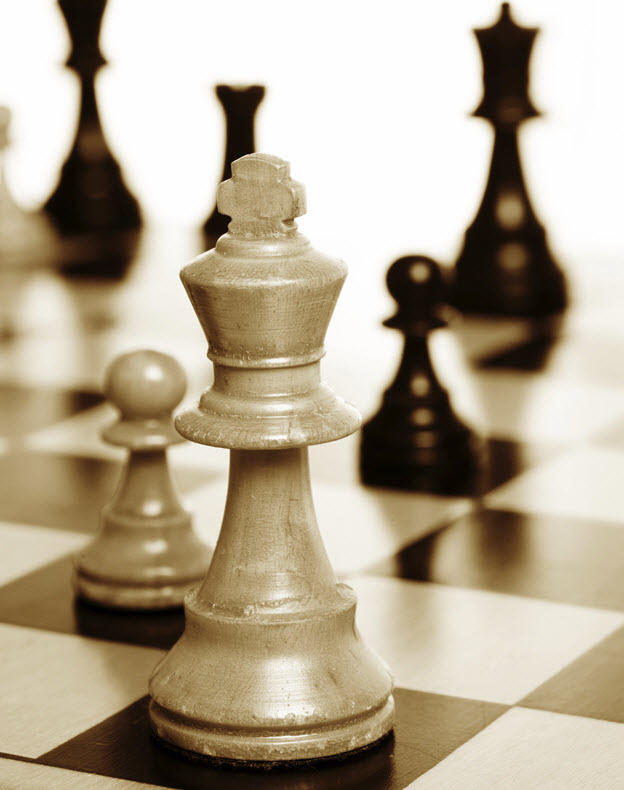 Almost every company monitors its competitors and the marketplace it perceives that it competes in. However, too many companies just monitor these activities using Google and other forms of electronic connection and social networks. I think this is just a first step and that winning companies take action based on what they learn, and they don’t need to get the board’s approval. Companies that are excellent also have a human source network that they are connected to in real-time who they can count on to be responsive as business needs dictate. As our world becomes smaller and more easily connected through the Internet and social media, this real-time connection and communication is becoming a way of doing business. 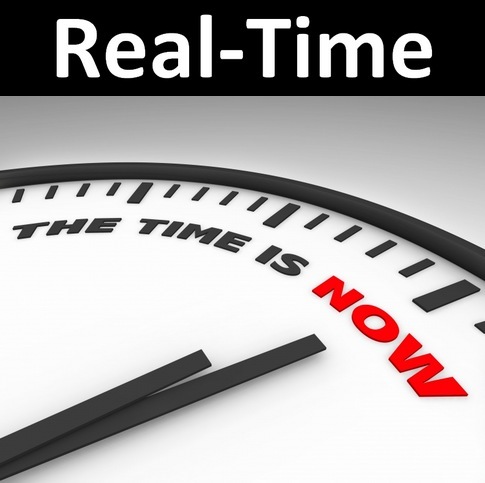 Don’t be left out by disallowing your employees to participate in real-time. You will never have enough information to be certain that you are correct, but if you wait until you’re sure of what you “should say” or “should do,” you will be too late.